For hundreds of years, lighthouses have done an important job: they send light signals to direct the mariners towards their targeted harbour. 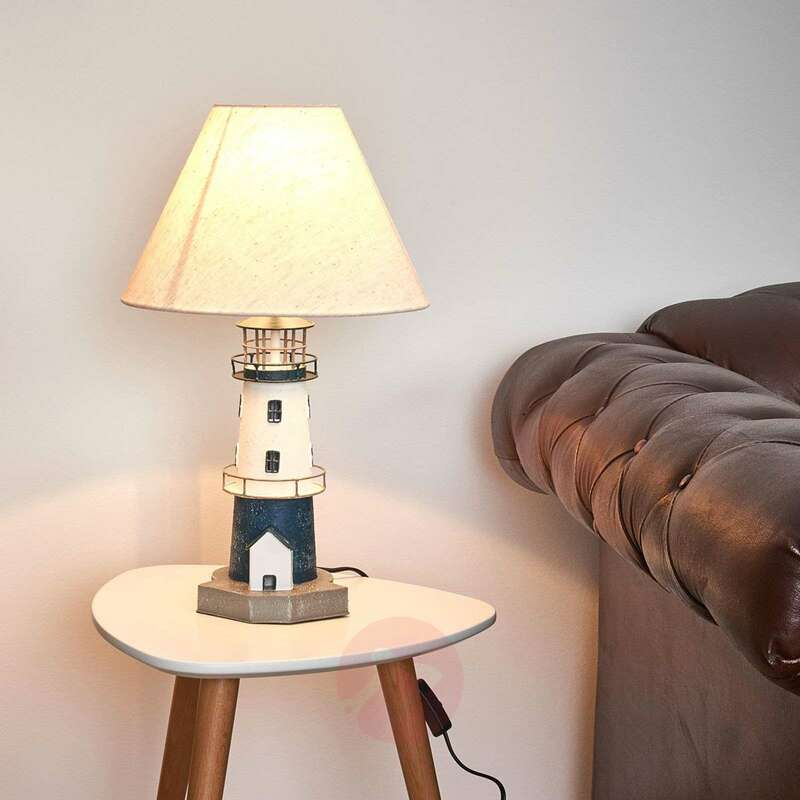 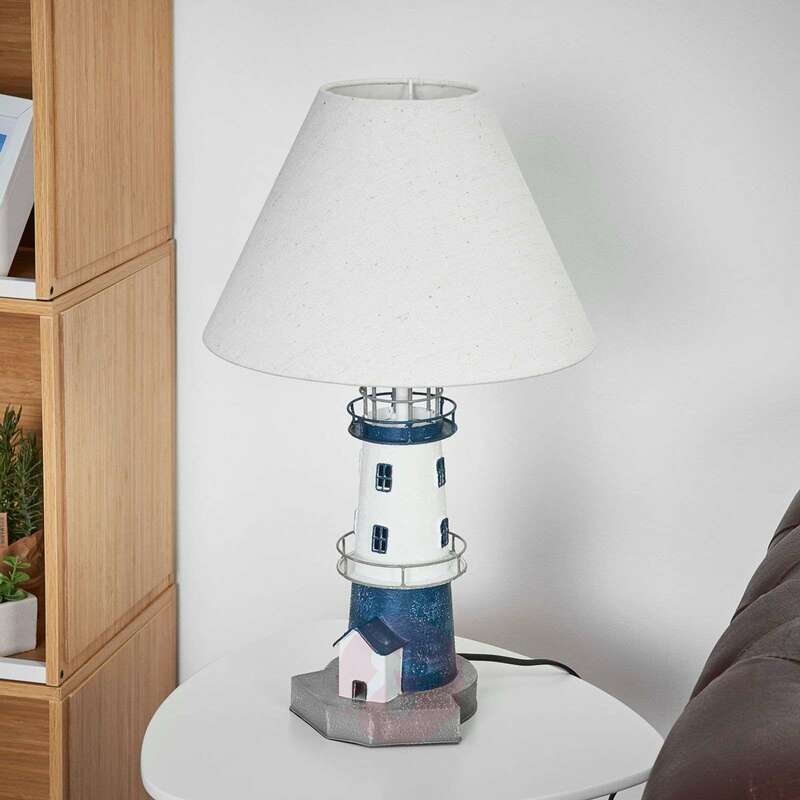 For mariners and lovers of nautical styles of décor, this table lamp in a lighthouse design is a welcome living accessory. 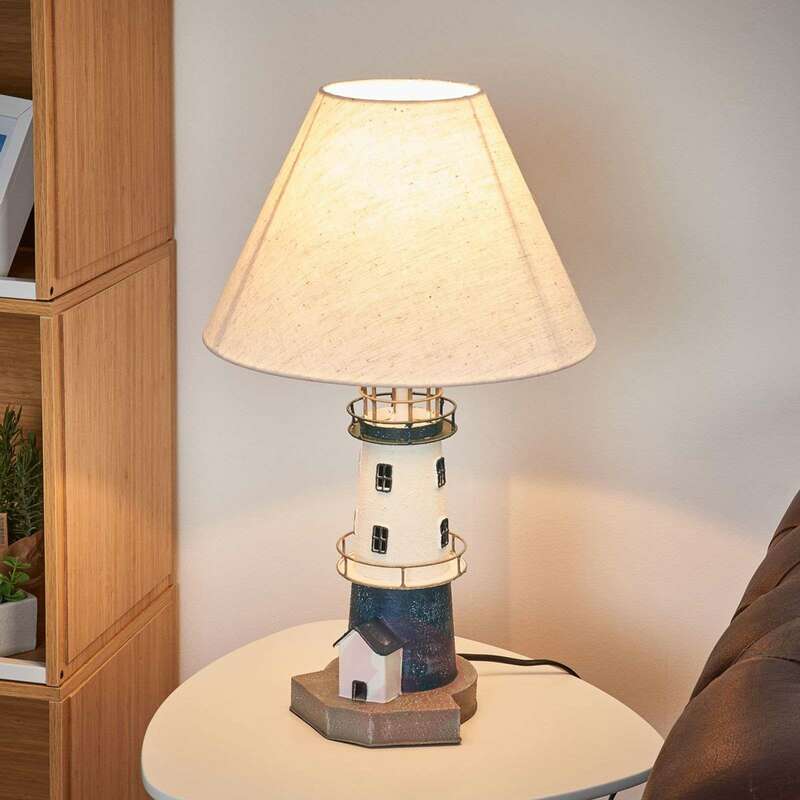 Its blue and white striped lamp body looks just like a real lighthouse - warm white is emitted through the fabric lampshade.